Get inside of the Dragon Cave to get lots of rewards. 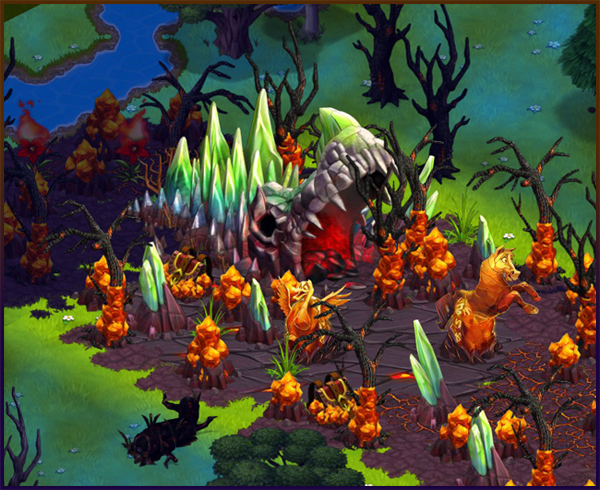 Craft the Rifting Scepters, in the Studio, then use it on the rocks, trees or animals placed around the dragon cave. 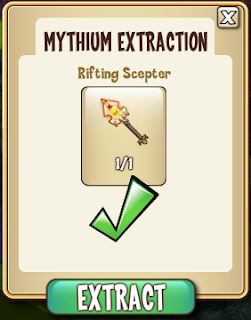 When using the Rifting Scepter, Mythium will drop and for each Mythium you can get a reward, when clicking in the Dragon Cave. 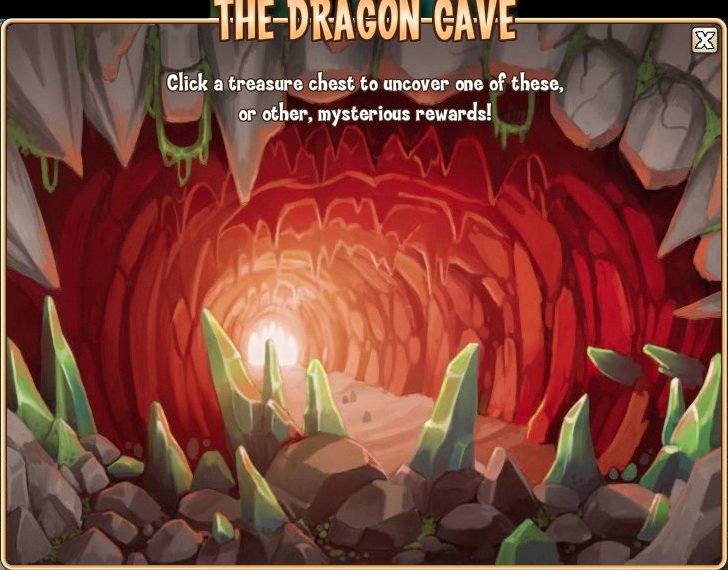 CLICK HERE for The Abandoned Cave Dragon Quest Guide. The Dragon Cave is overflowing with awesome treasures that can be found using the Mythium you've been collecting. Check out the quick guide below to find out how! You'll need something magical to get the Mythium out of the Amythite Rocks without damaging it; craft Rifting Scepters in the Studio to do the job. 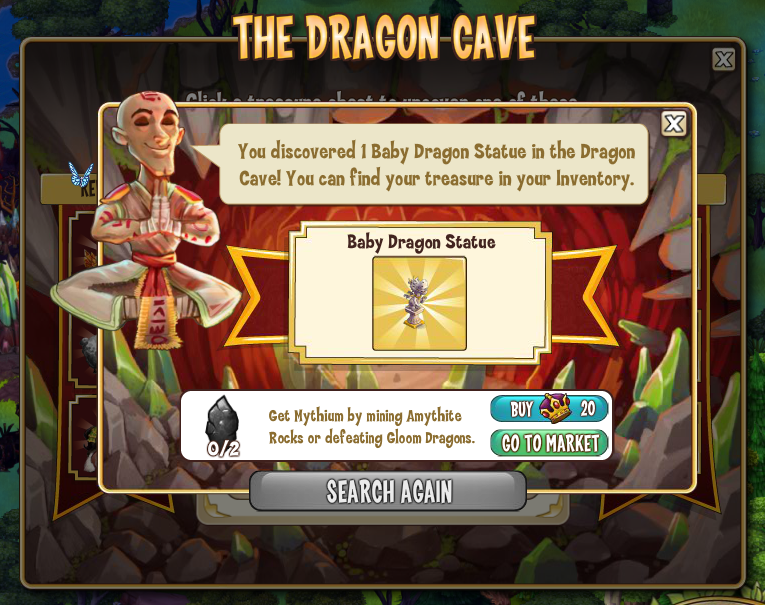 You can click on the Amythite Rocks to use them. 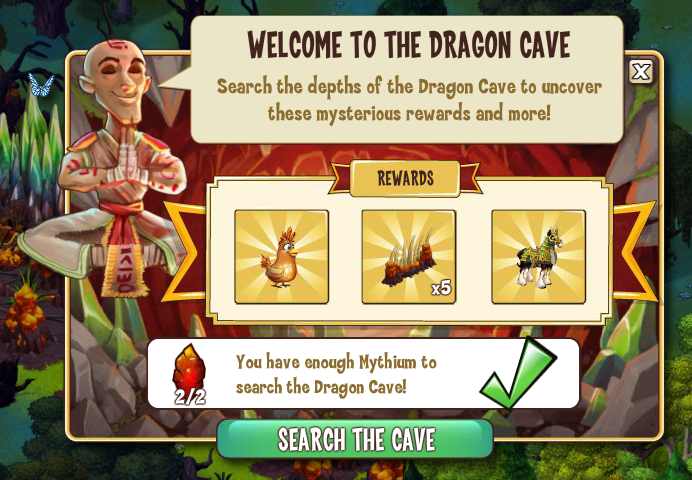 Once you've reached the Dragon Cave by clearing away the Amythite Rocks in front of its entrance, just click on the Cave to begin. 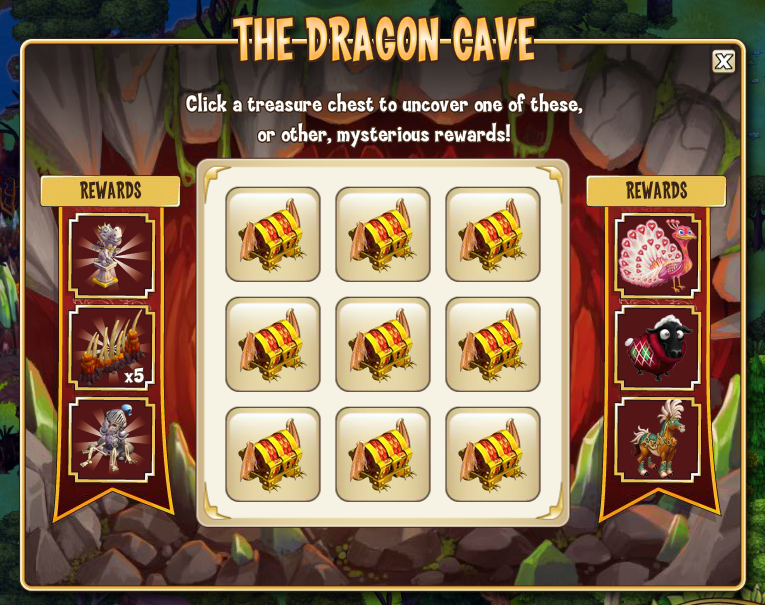 Use 2 Mythium to be granted access to the vast treasure inside! 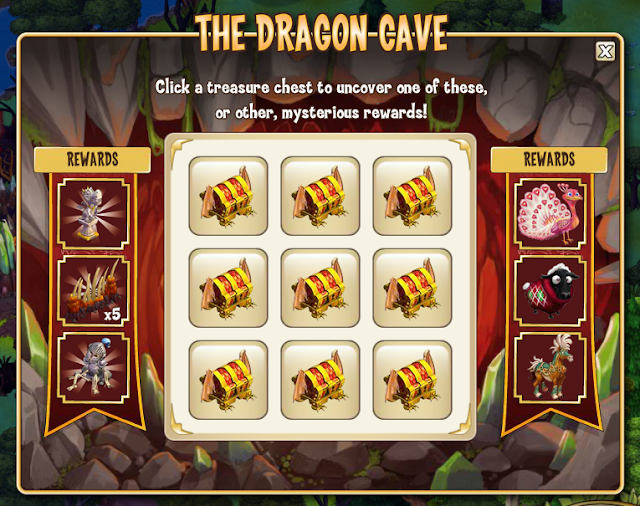 Click on one of the treasure chests for your chance to find something exciting! If you've run out of Mythium, you can purchase Amythite Rocks in the Market, or buy Mythium for Crowns without leaving the Cave.